Coinbase was founded in 2012 and quickly worked its way up the ranks to become arguably the most popular Bitcoin exchange out there. Though it is referred to as an exchange, Coinbase does so much more than allow you to trade Bitcoin with other people. Coinbase not only allows you to transfer BTC with other wallets, it also allows you to store your own Bitcoin balance on the site, link bank accounts for easy transfer, and even purchase Bitcoin. Perhaps the biggest draw to Coinbase is the fact that the site has been in the industry for a while, has a large following, and is so incredibly easy to use. On top of all of this, Coinbase has a sterling reputation. No matter where you look, you will find industry experts touting the usefulness of Coinbase. One of the first things you will notice when logging onto Coinbase is the prompt asking you to sign up and create an account. By simply clicking that, supplying your first/last names, email address, and a password, you will immediately have created an account. Once your account is up and running, you will then have a few other items to take care of. First and foremost, you will be prompted to add a phone number. The reason for this phone number (and the email address) is for added security measures. 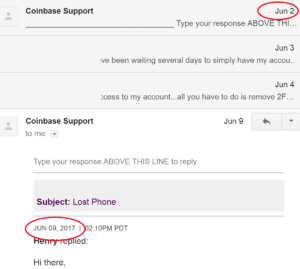 When you attempt to log into Coinbase from a device that you have never used before, you will be asked to verify the new device, and this can be done by either the email address provided, phone provided, or both. This may seem inconvenient, but it is just one of the many ways by which Coinbase goes the extra mile to ensure the safety and security of your account and personal information. After you have added a phone number, you will then need to link a bank account, PayPal account, credit/debit card, or all three. If you add any of the three abovementioned accounts, you will then be asked to verify your identity by way of a driver’s license or some other valid form of identification. Once you have created an account, verified your email address and phone number, and have linked bank/PayPal accounts, you are then able to receive, buy, and sell Bitcoin. 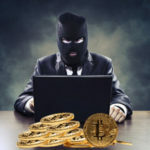 If you are attempting to receive Bitcoin, you will need to give your Bitcoin wallet address to the person whom you are receiving the funds from. By clicking on your wallet and subsequently clicking on your wallet address, you will then be able to copy and supply your address to the person that is sending you funds. In terms of buying Bitcoin, there are a few different avenues by which you can do this. For one, you have the bank account option. If you have chosen to verify your bank account with Coinbase, you will be able to use the funds there to directly purchase Bitcoin. This is a nice option, and relatively easy too, however thanks to the hurdles presented by US financial laws, purchasing Bitcoin with a bank account is something that takes a few days to complete. This is not a great thing for many people, because during the 3 to 5 days you have to wait in order to receive your BTC, the price can change, sometimes drastically so. While sometimes this may work in your favor and see your BTC balance gain value, it does not always work out so smoothly. If time is of the essence, we highly recommend that you purchase Bitcoin with a credit/debit card. Like any other credit/debit card transaction you have ever executed, those that facilitate the purchase of Bitcoin happen instantaneously. Rather than waiting days on end, you will have Bitcoin sitting in your wallet in a matter of minutes. At Coinbase, transacting Bitcoin is as easy as you could imagine. Unfortunately, with all of that convenience comes some dreaded fees. In general, the fees that will be levied against a purchase or sale of Bitcoin depend upon where in the world you are located. If you are located in the United States, the fees are mostly reasonable. If you are attempting to purchase Bitcoin with a bank account, you will be forced to pay a 1.49% fee. The same fee applies with any purchases made with any USD holdings in your Coinbase account. Credit/debit card purchases, while faster than bank account purchases, feature higher fees. Any purchase of Bitcoin with a credit/debit card will carry with it a rather high fee of 3.99%. As far as selling Bitcoin (in other words, turning BTC into USD) is concerned, the same fee amounts apply. If you are attempting to sell your BTC and transfer the USD to your linked bank account, you will pay a 1.49% fee. If you are attempting to sell your BTC and transfer to a PayPal account, you will be subject to a 3.99% fee. As you might expect, PayPal transfers, though they carry a higher fee, are instant. Transferring money to your bank account is a process that will take a few days to fully be completed. If you are looking for the most accommodative Bitcoin exchange—especially for those new to the cryptocurrency—Coinbase is exactly what you are looking for. Coinbase does an excellent job of taking the often unfamiliar world of cryptocurrencies and breaks it down in a way that is familiar for most everyone. So long as you have ever used an online bank account or PayPal account, the learning curve associated with getting started at Coinbase will be diminished almost entirely. In addition to generally making your life easier, Coinbase also provides users with top-notch security. As was mentioned before, any attempt to sign into your Coinbase account from a device that you have never signed in with before will be met with a prompt asking you to verify your identity by way of your phone or email address. 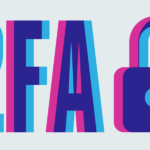 This 2-factor authentication, as it is known, is slowly becoming an industry standard, but has been used by Coinbase since the beginning. When it comes down to it, there are few better, safer, more respected exchanges than Coinbase.